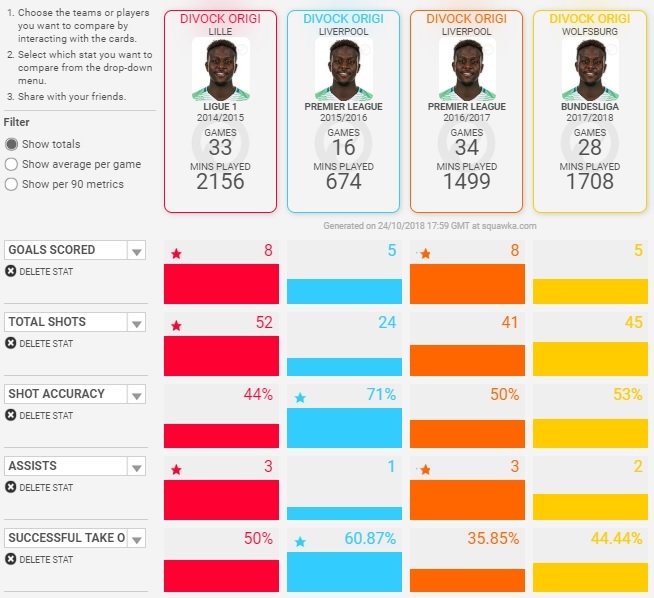 Home Analysis Player Analysis Is It Time To Say Goodbye To Origi? There are those players who make their reputation off of one goal or one tournament but never quite kick on and live up to the hype. Names like Kleberson or El-Hadji Diouf spring to mind immediately, but another who could also be well on his way to falling into that category is a man who is becoming persona non grata at Anfield: Divock Origi. Origi arrived at Anfield from Lille for just £10 million on the back of an impressive World Cup where he was Belgium’s main goal threat for much of the tournament. His winner against Russia in their opening game in Brazil catapulted him into the spotlight and Brendan Rodgers pounced first. This seemed like a sound signing, even more so when the Reds announced that Origi would stay at Lille for the 2014/15 season on loan. Surely, Origi would be the future of the club up front? Not exactly. For every fleeting moment of brilliance Origi has produced in a red shirt, there has been one of incredible frustration. Now 23, Origi is at a crossroads in his career as he faces perhaps being just another one who had the potential but couldn’t quite kick on and produce at a top level. It’s important to look at how Origi has done since his breakthrough at the 2014 World Cup. There he was energetic, fearless and powerful with an eye for a shot. Sure, he only scored once but he was a constant menace and, crucially, he was just 19. The world was his oyster. The seasons following that were then crucial for his development. He needed to kick on, to produce but, crucially, he also needed to do it on a consistent basis. No top team hangs their hat on a player who MIGHT produce when it matters. His season on loan at Lille was a mixed bag, apropos for a player that has been labelled ‘raw’. While Origi got valuable minutes under his belt, there were only brief moments of genuine quality. 8 league goals from 52 shots is not exactly a stunning return and fewer than half were classed as accurate too. He would register 3 assists too which seems fine but is a little more concerning when you consider he did spend time playing on the left wing for Lille. However, Origi was named in L’Equipe’s Worst Ligue 1 Team of the Season that year and endured a 20-game goal drought mid-season. Hardly promising. Still, Liverpool brought him back for the 2015/16 season with the hope being that he would be able to provide depth while learning how to play in the Premier League. While he played just 16 times in the Premier League (mostly from the bench), he did show some real desire and potential. Five goals in 16 was a much better return than the previous season while he was more accurate with his 24 shots (71%) and had more successful take-ons too (from 50% to 60.87%). He also helped Liverpool to the Europa League final with a crucial goal in the quarters against Borussia Dortmund. The signs were promising. 2016/17 was another mixed bag for Origi. On the one hand, Liverpool returned to the top four and Origi made the most appearances in all competitions for the Reds that year. 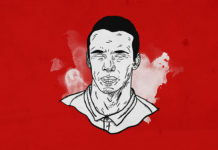 On the other, he was very often used as an option off the bench and, more often than not, his contribution was minimal. 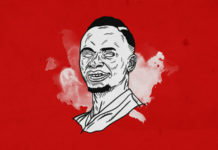 His goals and assists numbers (8 goals and 3 assists) matched his final Ligue 1 season but he completed fewer take-ons (35.85% to 50%) and attempted fewer shots (41 to 52). This can be partly explained by Origi playing nearly 650 fewer minutes in 16/17 compared to 14/15. However, it also proved to be something of a curse for Origi. He’d often come on and provide next to nothing for Liverpool which undoubtedly troubled Jurgen Klopp. Last season saw Origi sent out to Wolfsburg on loan where he started brightly before falling out of favour horribly. Four goals in his first nine was a promising start and he was even named Rookie of the Month in the Bundesliga. However, those four would be the only goals he’d score for a while as he’d finish the season with a miserly 5 goals and 2 assists in 28 games. He averaged one goal every nine shots in the Bundesliga as Wolfsburg avoided relegation via the playoffs once again. And so we are in late 2018. Origi was not at the last World Cup for Belgium which was not a great surprise to anyone and he is now nowhere near the first team, spending his days alongside Lazar Markovic, looking on from the outside. 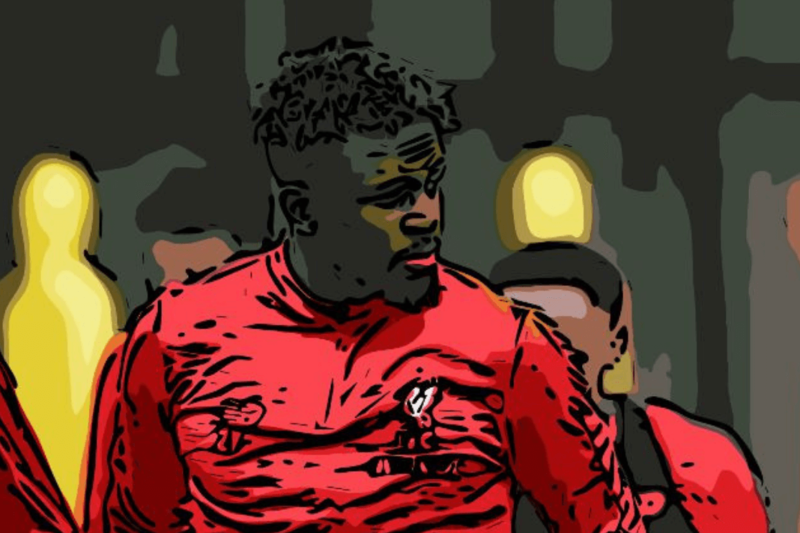 With the continued resurgence of Daniel Sturridge and Klopp’s preference for Dom Solanke, Origi is (at best) the fourth choice amongst those considered strikers at the club. The harsh reality is that Divock Origi needs a club where he can find some consistency. He is currently a player who will be brilliant for a month then infuriatingly awful for six. When he’s on it, he’s a real handful. But the most concerning thing is that he’s not always ‘on it’. 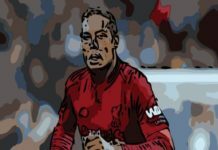 It is clear that Jurgen Klopp is at a loss with what to do with him after eighteen months of trying to unlock his potential. He had a chance to prove himself on loan and, while not an ideal situation last season at Wolfsburg, he could have done a lot more. The best thing now is for Origi to move on from Liverpool because he can’t be relied on as a consistent starter. He is, for Liverpool anyway, an impact player who might make a difference. It’s a very big might though. His goal record is not good enough too for the top level and, even if you subscribe to the theory he’s still raw, it becomes concerning that he’s not quite figured out how to do it consistently at 23. For brief spells, Divock Origi looked like he could be a real asset for Liverpool. In the end, we’ll remember him for that goal against Dortmund and we’ll wish him well. The best summation for him: he is 2018’s Ryan Babel.